Educational tourism is tailored in a way that academics is coupled with the excitement of travelling and cultural exchange. The global tourism industry is growing in leaps and bounds at an annual growth rate of 4.6 per cent and is contributing the share of 10.4 per cent in the world’s total GDP. Adventure tourism, cruise tourism, eco-tourism, wellness tourism, and educational tourism are some of the hottest trends in the industry which has been popularised by globetrotters across the world. Among these, it’s the educational tourism, a relatively new concept in India, which has now set the entire industry abuzz with its attractive growth opportunities for businesses and personal growth prospects for avid travellers. The umbrella term educational tourism encompasses such tours and trips to foreign destinations that are specifically related to the academic curriculum and field of study of the students. 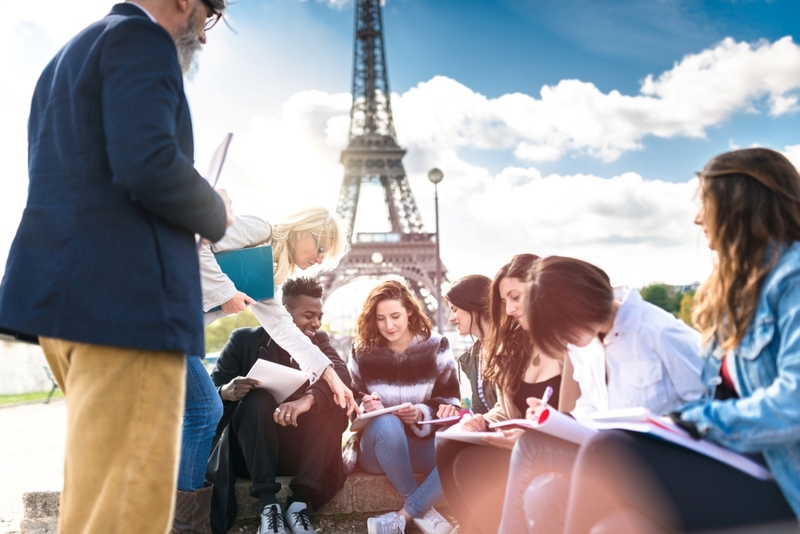 In comparison to theoretical learning or practical learning confined within the four walls of classroom or an enclosed campus of the university, an educational tour to foreign country encourages the students and individuals to grasp and form their unique perspective of the outer world. For instance, where one might read extensively on European culture and history, he might not be able to emotionally connect with it and learn intuitively about it. Thanks to educational tours being offered by industry players, such kind of intuitive and interesting learning are now possible. The educational excursions are tailored in a way that education is coupled with the fun of tourism so that each of the students gets to interact with new people and culture. A novel buzzword abounding universities and businesses: In the wake of globalisation, it appears as if people have understood the fact that limited study and knowledge gained from only a particular university or institution is not going to take them to newer heights of success. If they have to make success happen and improve their employability in the competitive market, they must enhance their knowledge and learn new skills, transcending the geographical boundaries if required. Popularising the trend of educational tourism, various schools and universities in India have started joining hands with foreign institutions and tour and travel companies to organise educational excursions for students’ overall personality development and knowledge enhancement. Interestingly, students from junior classes and college students are also actively participating in educational tours where their power of learning and observation is amplified by innovative learning practices. As per the recent data, the year 2018 saw 81per cent of the students visiting Australia for higher education enrolled in various post-graduate courses. The reason is hands-on experiences, cultural enrichment, and attractive job prospects that contribute to the personal development of an individual. The students get relevant insights into the diverse cultures and gain meaningful experiences from varied industries, eventually helping them to increase the credibility of their CVs. And, this phenomenon of education tourism is not taking place at university level only, as private schools and government institutes are also opting for education tours such as summer schools, exchange programmes, and educational cruises for their students. Generally, educational tours are widely organised at foreign institutions giving international/foreign students the opportunity to attend, adapt and learn the best of both institutions. In such exchange programmes, the students of one country attend a semester or so in the other country and expand the scope of his learning. Undoubtedly, this is an excellent way of delivering students a worthwhile experience to understand the different education system and culture and approach their learning with a different perspective and hone their research and observation skills. The endeavour of institutions and parents to develop a strong personality and enhance the knowledge of students has opened up new doors for tour and travel companies. The companies give prominence to educational tourism promoting the importance of such flexible mode of education and learning and leveraging its immense potential for rapid growth of the sector. Quite evidently, more and more students have been lately approaching tour and travel companies to get their educational visa done to attend global institutions. Grabbing the opportunities, the companies are developing the customised educational tour packages to some of the hotspot foreign destinations, which attract educational tourists from across the globe. Removing the roadblock: Though educational tourism broadens one’s scope of learning and acquiring knowledge, it becomes a bit expensive for many institutions and companies. The expenses and funds required to finance the travelling accommodation and sight-seeing often fall lesser when it comes to taking a large group of students for a long stay. For this, the government and private sector must come together and work in tandem to make educational tours cost-efficient to make the youth of the nation empowered and talented.